Buck Hill offers sixteen different runs to skiers and snowboarders of all abilities, as well as snow tubing. Buck also has ten lifts and one of the best snowmaking systems in the Midwest. 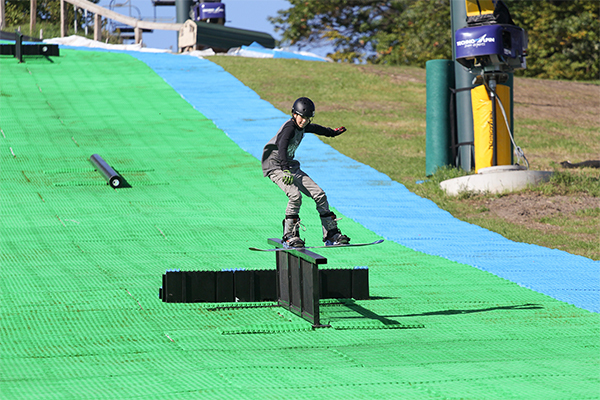 In 2016, Buck Hill introduced an artificial ski slope to their hills that is entertaining ski enthusiasts all year round, extending the time to train and enjoy skiing, as well as being an opportunity to ski and snowboard 365 days a year. Neveplast revolutionized the dry ski slope sector with a synthetic mat that perfectly simulates real snow conditions. Novices can easily snow plow, enthusiasts can practice their favorite discipline at any time of the day, and competitive athletes can train exactly like they do on snow.